As an exclusively referral based company, we have experienced explosive growth because of your referrals. We want to reward you every way we can. For every new client you refer to us, we will reward you with a 5% referral reward. When you refer someone, you will automatically receive a certificate that you may use for cash or services. Here’s an example of how it works: You refer a new client to us. Let’s say they spend $500.00 for their cleaning job. We will automatically send you a referral certificate for $25.00. 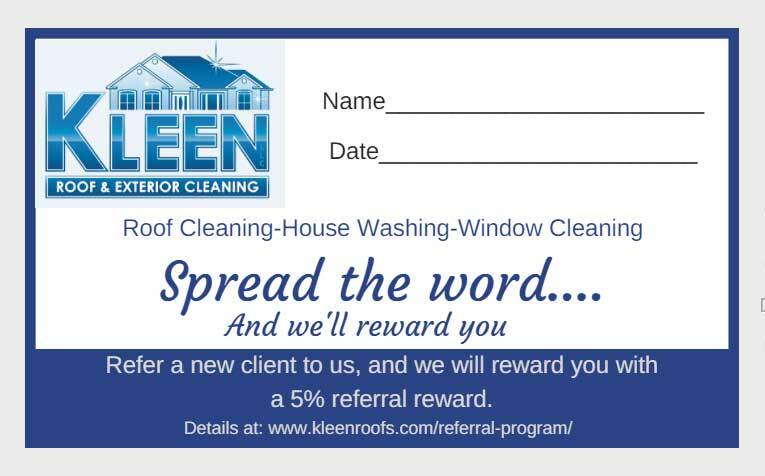 To redeem it, you simply present it toward a cleaning job, or send it to our office to redeem it for cash. It’s that easy!